Virsys12, Tennessee’s largest certified Salesforce Consulting Partner serving healthcare nationwide, has achieved yet another year of near triple-digit revenue growth. In November, the four-and-a-half year-old award-winning company doubled its office space and, with the addition of Amanda Flatt as Consultant & Business Analyst, doubled its new hires. 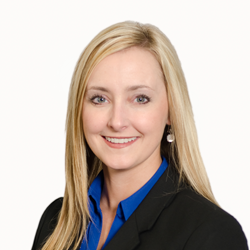 Prior to joining Virsys12, Flatt was a Salesforce IT product manager and senior business analyst at ChangeHeathcare (formerly Emdeon), where she served as the primary contact and subject matter expert for Salesforce Sales and Marketing Cloud. A certified Salesforce Administrator, Flatt led a variety of business projects, including process documentation, system improvements and process reengineering/consolidation utilizing Salesforce. Her background also includes roles and responsibilities related to systems migration, project management, ebusiness and web development. In 2015 Virsys12 was named a Best Place to Work 2015 and was a recipient of the Nashville Business Journal’s 2015 Best in Business Award. For the second year, Virsys12 CEO and Founder Tammy Hawes was a finalist for the NEXT “Entrepreneur of the Year” Award, given by the Nashville Area Chamber of Commerce and the Nashville Entrepreneur Center, and Virsys12 was again a NEXT Award finalist for Technology–Growth. The firm was a 2013 NEXT Award winner for Technology–Start-Up.